The IRS had issued draft regulations in November 2013 to revise the definitions and parameters for political activity by 501(c)(4) social welfare organizations. The regulations were drafted “off plan” by the IRS and received an unprecedented number of public comments, almost all negative, from across the political spectrum. In April 2014, the IRS announced it would delay the rulemaking process. The IRS’s official 2014-2015 Priority Guidance Plan included the political activity regulation project among its 317 projects to focus on, but Koskinen’s comments appear to put the project lower on the IRS’s priority list. The further delay in addressing nonprofit political activity is not surprising, for several reasons. As noted, the 2013 draft regulations were met with criticism for being complex, for outlawing some long-standing voter registration and voter education activities, and for being narrowly focused on 501(c)(4) organizations rather than addressing other types of nonprofits like charities, labor unions, and professional and trade associations. Congress and the judiciary also play a role in making a delay advisable. 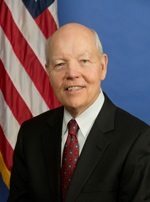 Republicans, now in the majority in both houses of Congress, are skeptical of the IRS effort, seeing it as a continuation of the targeting of conservative organizations for special scrutiny that is at the heart of the IRS scandal. In addition, nonprofit political activity is currently viewed as being more favorable to Republican candidates than to Democratic ones, owing to well-known and well-financed 501(c)(4)s like the Koch brothers’ Americans for Prosperity and Karl Rove’s Crossroads GPS. Both supporters and opponents of regulatory efforts agree that any new regulations will be challenged in court and ultimately appealed to the U.S. Supreme Court. The Supreme Court’s majority has indicated through recent decisions like Citizens United and McCutcheon that government-imposed restrictions on political activity will have to meet a strict standard to be deemed constitutional.